Having access to hot water on a daily basis is extremely important. Whether it is for bathing, cooking, or cleaning, almost all people use hot water every day. Nothing can be more frustrating than waking up and not having access to all of the hot water that you need. 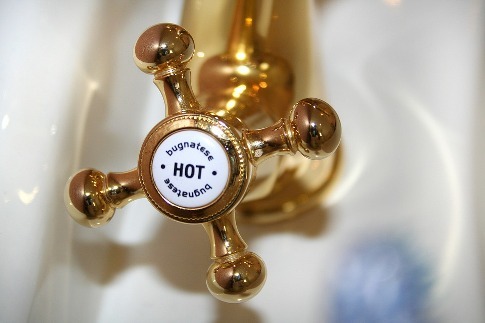 If you suddenly notice that you do not have enough hot water, there are several causes that should be considered. Fortunately, each of these causes has a solution that could help to ensure you get enough hot water. For the majority of people that are having issues with hot water, the biggest cause is that they are using more hot water than they need. If you have a home full of people, each of which need to take a shower and use water in the morning, it is easy for even a large and efficient hot water heater to get overused on a daily basis. If you are finding that your family is going through too much hot water each morning, it might make far more sense to find a way to cut back on usage. One way to do this would be by encouraging some people to take showers at night, which will spread out usage and allow the hot water supply to build back up. Another option is to limit time in the shower for each person. While there are always ways that a family can cut back on the amount of hot water that they use, you could also struggle if you do not have a tank that is large enough. If you move into a new home that was previously occupied by a smaller group of people, the prior owner may have been fine with a smaller water heater. However, this size of a water heater may not work for you and your situation. If you are having issues with hot water yield, you should speak with a plumber to get a better sense of how large of a hot water heater you need. Investing in a new and larger water heater could solve this issue for you. If you have a hot water that is connected to natural gas lines running into your home, the lack of natural gas could be an issue. In many situations, this is an easy problem to solve as it may only require that you re-light the pilot light on the hot water heater. However, a bigger concern could be if you smell natural gas around your hot water heater. If this is the case, you should immediately call the local gas company. They will have to come out to figure out the source of the leak and may need to disconnect you from gas entirely until the leak is fixed. One very common issue that causes a lower yield of hot water is if you have a sediment buildup in your hot water heater. During the heating process for your hot water, natural minerals including magnesium and calcium will form into a sediment that will then slowly accumulate and fall to the bottom of your hot water heater. One of the most obvious signs that this is occurring is if you notice odd sound coming from your hot water heater when it is in operation. Also, when there is sediment in your hot water heater, there is less room to store hot water. This can then lead to a reduction in yield. If this is the cause of low hot water supply, having your water heater cleaned and flushed by a professional should do the trick. Another reason why your water heater is not producing the right amount of hot water is that your heater is not as efficient as it once was. While a water heater can last for well over a decade, there does come a time in which small parts of the heater stop working as well as they used to. Over time, these small issues can add up and you can suddenly notice a much smaller amount of hot water. This could result in either a lower yield or water that does not get as hot as it once did. A professional plumbing service, such as AR Lake Plumbers, should be able to help with this. For your hot water heater to produce hot water, it will need to know the accurate temperature of the water in the tank. If the hot water believes that the water is hotter than it really is, the hot water heater will not work to heat the water any further. If you are not getting any hot water to come out, you should ask a plumber or mechanic to check the thermostat of your hot water heater. If the thermostat is not working the right way, it could prevent the rest of the heating process from even starting. Replacing a broken thermostat should immediately fix this issue. Finally, your lack of hot water could be due to you having the wrong type of heater. If you find that the heater is not producing enough hot water, you may want to consider getting a different type of heater altogether. While tankless water heaters are getting to be more popular with consumers due to a variety of benefits that they provide, they also struggle to provide enough hot water if there is a lot of consecutive use. It is important to speak with a professional when determining what type of hot water heater is right for you.